In a world where anything is possibleexcept female groups lasting more than three yearsTraces is an all-female quintet that has managed to survive for FIVE years and counting. Yay!!! With their expansive vocal range, vocal dynamics, tight harmonies, “female bass” and hard hitting percussion, this NY based group offers a variety of musical styles and continually push the envelope of female vocals. Their wide range of musical influencesGospel, Contemporary Christian, Pop, R&B, Jazz, Blues, Rock, Spirituals, Caribbean and African, just to name a fewhas lead them to create a unique style all their own. Over the years, the group has had some amazing experience including performing in churches, colleges, prisons, festivals and the Harmony Sweepstakes competition. Traces looks forward to continuing our journey and seeing you in March. b vocal - has been working for the last twelve years in a surprising and innovative style: with just the use of their voices. - these five Aragonese musicians can recreate the soundscape of any musical piece (drums, guitars, brass, rhythm, etc.). 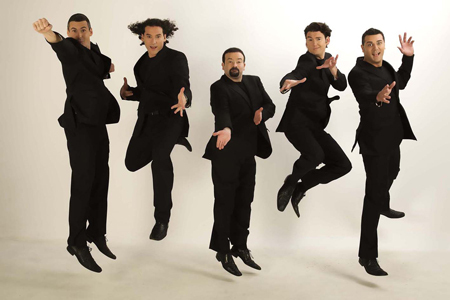 With their entertaining shows, they have managed to popularize a cappella as a musical style in Spain through a perfect combination of voice and humour and a repertory of high quality music from both national and international sources. With a career of more than twelve years behind them, and thanks to their quality and originality, b vocal has become one of the main reference points for a capella music in Spain. Drawing on influences from classic soul to modern alternative, Cartoon Johnny performs a variety of audience favorites and original music, bringing audiences to their feet show after show. Based in Washington, D.C., Cartoon Johnny was named the Mid-Atlantic Harmony Sweepstakes champion in 2005, and has played up and down the East coast. In '07, the group was proud to join the National Symphony Orchestra and director Marvin Hamlisch for the Kennedy Center's Holiday Pops concerts, in true CJ style, of course. Harmony, rhythm, and soul, with just a touch of mischief and a whole lot of fun -- that's Cartoon Johnny. Red No. 5 has lent their voices to reinvigorate and diversify Connecticut's local music scene. While each woman in the quartet resonates as an individual, the four voices fuse together to create an eclectic original sound. They are proud that they have been able to use their unconventional understanding of music to develop a new system of musical notation incorporating traditional hieroglyphics, cave drawings, and Braille. The Fault Line - Infectious energy sweeps the stage as five powerful voices prepare themselves for their first note. And by that first note, audiences will know that they are in the presence of vocal rock's latest superstars. ; Launching their own bid for national stardom, The Fault Line takes the leap into mainstream rock without the use of instruments. With their heavy hitting, vocal percussion driven music, spectacular harmonies, stunning arrangements, ranging from the likes of The Used to Bill Haley & His Comets to Fall Out Boy, as well as a variety of originals, their music is garnering fan reaction to rival some of the most popular musical groups of all time... ...while introducing those fans to the instrumental and vocal power of the human voice. 'Round Midnight is a quartet that consists of professional musicians from the Manhattan/Long Island area of New York. 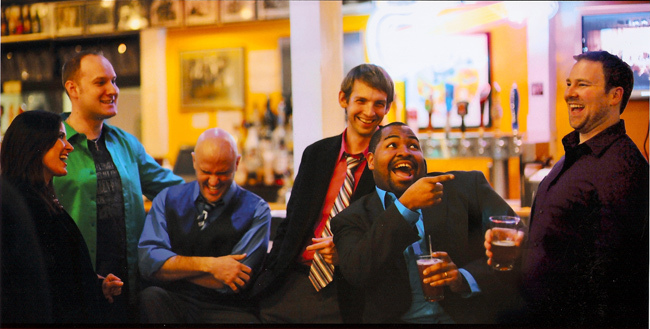 The quartet formed in late 2004 and has been entertaining audiences all over the Tri-State area ever since. All four men are music teachers. The first year for ‘Round Midnight has been a whirlwind in which they tied for first place in the Mid-Atlantic District’s Northern Division contest, finished top 10 at the M-AD District contest, and headlined various shows for Barbershop Harmony Society and Sweet Adelines International chapters as well as non-barbershop shows. For the short time these five young church ladies been together it has been nothing but constant success. 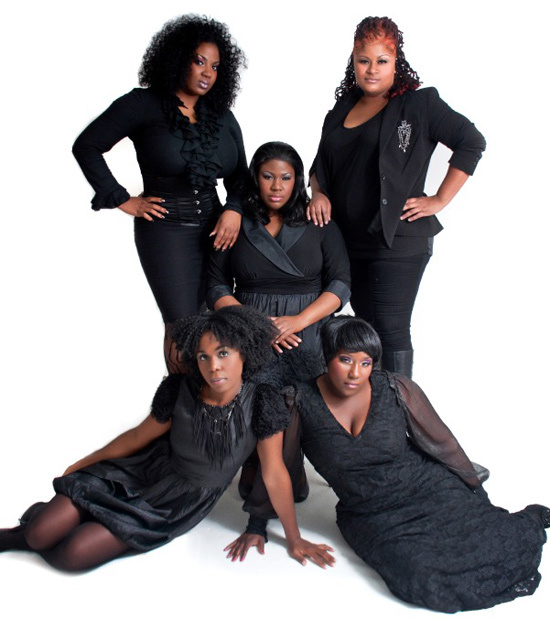 A quintet of powerful singers in their own right to come together and sing in harmony. A mixture of styles that range from the simplicity of a gospel choral arrangement with three parts to the complexity and intricacy of Manhattan Transfer. Lead vocals blaring and strong as Aretha Franklin and times the sweet tones and movements of an Ella Fitzgerald. Take time to come into the TRACES world and you wont be disappointed. Vox Bop is a mixed a cappella quartet that performs a wide variety of musical styles, from the lyrical beauty of the Renaissance to the lush harmonies of the Jazz Era to eclectic arrangements of pop classics. 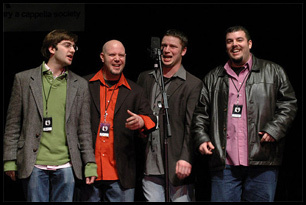 Vox Bop won the best award for Best Original Song at the 2001 National Harmony Sweepstakes after winning many awards at the New York City Regionals in 2001. 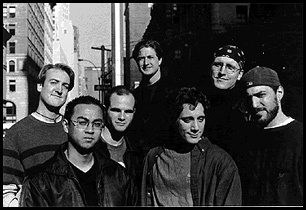 The group was interviewed and featured in a 12-minute piece on National Public Radio's "All Things Considered" in December 1999. They also appeared as the house band on a Christmas taping of NBC-TV's "The Ainsley Harriott Show" and in a national television ad for Amazon.com. During the summer of 2000, Vox Bop was a featured performer at the Alandia Jazz Festival in Finland. Four men, four microphones, no instruments. This is the formula for Toronto's celebrated vocal band, Cadence. This formidable foursome has been dishing up its unique blend of tight harmony, instrumental imitation, high-energy antics, and audience interaction to sold-out audiences - and getting people genuinely excited about vocal music! The results have earned Cadence international recognition as "one of the finest quartets to make an appearance in the a cappella scene". 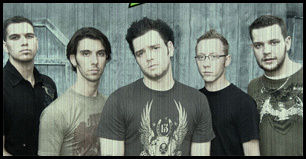 Cadence is Dylan Bell, Carl Berger, Kevin Fox and Ross Lynde. Four different performance backgrounds, musical sensibilities, and vocal textures contribute to their unique sound. And whether it's Carl's dark molasses baritone, Kevin's solid groove and bass, Dylan's acrobatic R&B stylings, or Ross' sweet, expressive tenor, audiences find themselves drawn in to the musical experience. 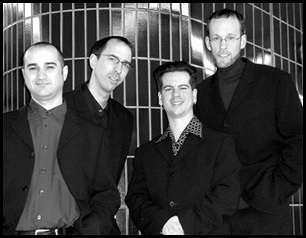 Cadence was nominated for a 2001 Juno Award (Canada) and received two Contemporary A Cappella Recording Awards (San Francisco) for their debut CD, frost-free. During the past five years, the Cadence performance schedule has been highlighted by appearances on radio and television, at SkyDome (Toronto's landmark stadium), and at the 2001 World Leaders tribute to Quincy Jones. The group has also had the honour of performing for Bobby McFerrin and Manhattan Transfer, and has shared the stage with Canada's pioneering quartet, The Nylons. 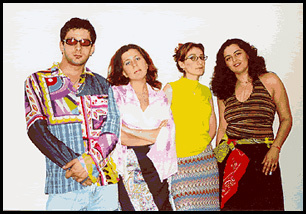 2x2 The vocal ensemble Sixation first formed in Tbilisi, Georgia in 1996. At first their program contained only jazz standards but later included folk and contemporary jazz. In 1997 the ensemble won the nomination "Best Vocal Group of the Year" on the Hit-Parade of National Radio in Georgia. In 1999 Sixation became the prize winner of the International Festival in Tampere, Finland and got invitations to Vienna, Moscow, Kaunas and Kiev. The same year the group won the grant of George Soros Foundation in the nomination "Modern Opinion of Folklore". 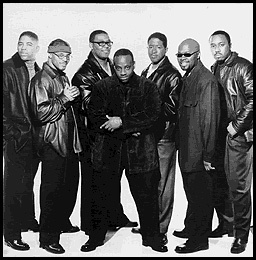 In 2000, Chevron Corporation became the sponsor of the group and the first demo album was released. The same year Sixation was invited to Holland to collaborate with the famous artist Andre Rieu in recording his new album. In 2001 the group participated the Boston Regional Harmony Sweepstakes. The same year the sextet was reorganized into quartet and took the name "2+2". Vox Bop is a mixed a cappella quartet with ultra-smooth voices reminiscent of The Manhattan Transfer and a wry baby-boomer sensibility. Founded in 1995 by David Deschamps, who also does the arranging, Vox Bop was interviewed and featured in a 12-minute piece on National Public Radio's "All Things Considered" on Christmas Eve 1999. They can be currently heard in a national Amazon.com TV ad and were featured as the house band on NBC-TV’ "The Ainsley Harriott Show." Vox Bop's first CD, THE VOX BOP CHRISTMAS VARIETY HOUR, has been much acclaimed: it was nominated for a 1998 CARA award, with one of the cuts ("Mission of The Three Kings") winning Best Arrangement at the 1999 NYC Harmony Sweepstakes. 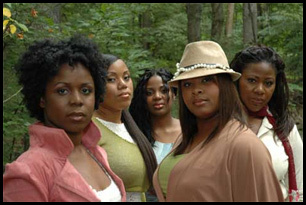 In the summer of 2000 Vox Bop performed at The Alandia Jazz festival in Finland and has also made a name for itself performing for a variety of clients throughout the Northeast, including Bloomberg Financial, Bloomingdales, Borders Books, The Brooklyn Museum, Filenes, The New Press, Starbucks, and many others. The group finished in the top five at the NYC regionals of the 1998 and 1999 Harmony Sweepstakes and is currently at work on their new CD, "Affluenza." They are a seven member "alternative a cappella" group from New York City. Born out of an ad in The Village Voice, they have been performing together for over six years in New York City clubs, on cable television, and over national syndicated radio. The Exboyfriends©ˆ first brush with fame came in December of 1997 when they were asked to perform on the Howard Stern Show as the Howard Stern Christmas Carolers. Making two appearances on the show, the Ex's won over the shock-jock and his fans with song parodies of popular Christmas Carols. The group©ˆs songs can still be heard on the radio during the holiday season, as well as brand new carols they submit to the show each year. Their first big television break came in November of 1999 on the VH1 series "Rock of Ages." The Ex's were tapped to perform as the Country/Western version of The Backstreet Boys in a hidden camera segment taped in the Virgin Megastore in NYC. Teenyboppers listened at a phony listening station and their reactions ranging from hysteria to disbelief were captured on tape. More than a few attempts were made to buy the fake CDs! The Exboyfriends are proud back-to-back winners of the "Audiences Favorite Award" at the last two Harmony Sweepstakes here in New York. Seven young men late 20's/early 30's from New York Metro Area. With a unique blend of seven-part harmony blending jazz/gospel/R&B, and even classical styles.They mimic instruments from horns to guitar, which will make you find their music a pure delight. Their lyrical content is always inspirational stretching from their various church backgrounds. Although many members have sung in group for many years, Seven was created in September of 1998 and has already started to make waves. City Lights offers a musical experience to remember. Their wide-ranging repertoire includes songs from traditional barbershop, jazz, Broadway and show tunes, to popular classics and contemporary music. 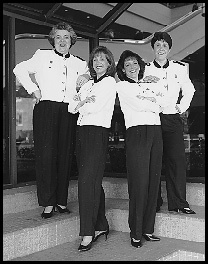 In 1992 they captured the tittle of International Champions at the International Sweet Adelines Barbershop Quartet Competition. City Lights was honored in 1994 when they were invited to teach barbershop harmony at the Hungarian Choral Festival in Vezprem, Hungary. City Lights has performed across the country, appearing in barbershop shows as well as for general audiences. They have been on stage at New York City's Carnage Hall and Rainbow Room and Toronto's Roy Thompson Hall. 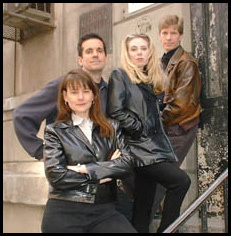 The quartet's television credits include CBS's WISH-TV in Indianapolis, and NBC News and ABC's Good Morning Oklahoma in Oklahoma. Radio credits include the Perry & Price Show in Hawaii, and WQXR and KGTO in Oklahoma. The quartet's CDs and cassettes, "Sophisticated Swing" and "City Lights" are available for purchase, and their latest recording is soon to be released. 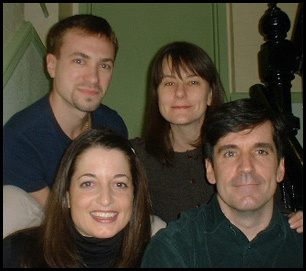 A unique mixed-voice octet, the Accidentals won the 1995 National Finals of the Harmony Sweepstakes. The group won three out of four prizes: first prize, audience favorite, and best song. 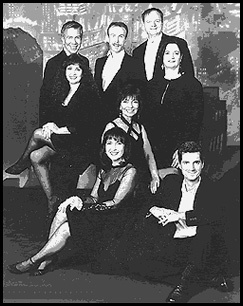 They have since received the 1997 MAC Award (Manhattan Association of Cabarets and Clubs) as well as the 1997 Back Stage Bistro Award, both awards for Best Vocal Group, adding these to their growing list of accomplishments. Their two CD's have met with wide acclaim from the national a cappella audience. This outstanding five man vocal musical ensemble began singing on the street corners of Baltimore nearly 20 years ago. Incorporating their own stylistic interpretations of Swing, Motown, Rock 'n Roll, Beatles, and even Country Western into their songs, Regency brings alive the music that America has learned to love. Their repertoire includes the hot sounds of today mixed with the Motown magic of yesterday including the music of Otis Redding, Marvin Gaye, The Righteous Brothers, Sam Cooke, and The Temptations. The group's dynamic stage presence, original choreography, and unique ability to engage their audiences produces an energetic and entertaining show with audiences invariably clamoring for more after each finale. The ensemble has appeared in concert with many national headline acts including Sinbad, Patti LaBelle, The Temptations, Manhattan Transfer, Ramsey Lewis, Spyrogyra, and The Four Tops. Regency has come in second twice once in 2003 and again last year. Will this year be their year?